In brief: Humans are unique in that we are self-aware and can envision ourselves in future scenarios – daydreaming about winning the lottery or starting a family. It’s an advantage we have over machines as most robots still use laborious trial and error to learn about the world around them and their place in it. Self-aware machines have been the topic of science fiction for decades but thanks to a recent advancement from Columbia University, they’re now becoming reality. Researchers at the school have created a robot capable of learning what it is with zero prior knowledge of geometry, physics or motor dynamics. It starts out “babbling” but after about 35 hours of collecting movement data and training it with machine learning, it created a self-simulation that can be used to adapt to situations, learn about itself and even detect damaged components and work around them. Hod Lipson, professor of mechanical engineering and director of the Creative Machines lab where the research was done, said that if we want robots to become independent, then it’s essential that they learn to simulate themselves. 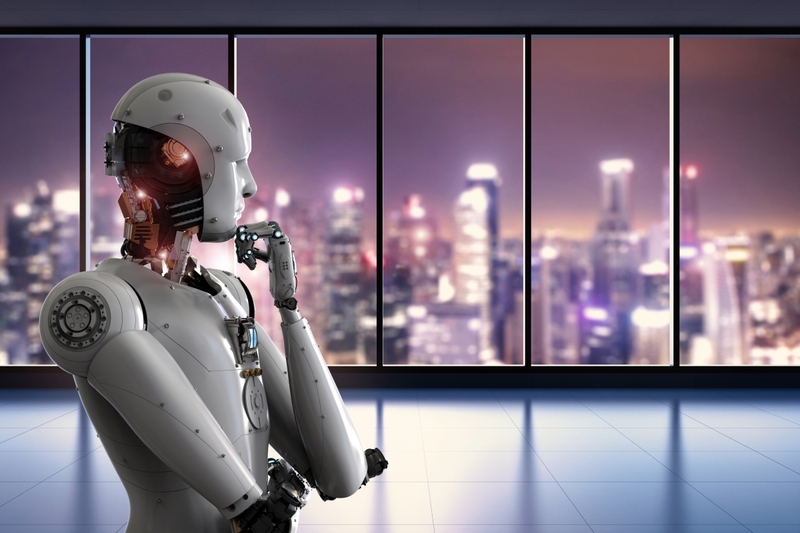 If that isn’t frightening enough, the researchers are now looking into whether or not robots can model their own minds – that is, if they can think about thinking.